I agree with Digital Draftsman. 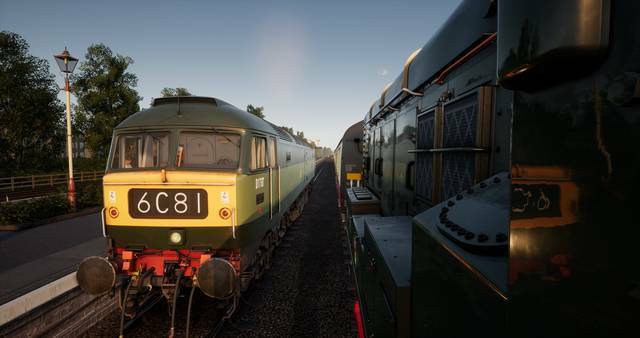 By the time images and media is posted of upcoming DLC, any bugs, issues or faults with the rolling stock or route that is present in the image, it is certainly almost always too late to alter or fix things as they are too far in development and getting ready for release. The issue with the Class 101 windows, for example. I think DTG should have a look at what other companies do. They release images of content that is WIP throughout various states of its development. Doing this, I have seen the community provide valuable comments and constructive criticism so the developers can alter things and get it near perfect for release. Take Just Trains and Armstrong Powerhouse as an example of doing this. Not only does this allow changes to be achieved, but it also shows the community that the company is actively working on things and gets us motivated and excited for the next release. What DTG is doing is leaving announcements to the last second which it is then too late to do anything. I don’t think I’ve ever seen the community have any say in WIP DTG content. It’s only until after it’s been released where we can then discover the bugs and faults, where then it is too late to do anything immediate about it. We then have to wait several months for DTG to do anything about it as they are most likely already working on their next DLC. They release images of content that is WIP throughout various states of its development. As an example of "what was done before..."
That is a post by DTG announcing the upcoming release of WSR on May 1st, a whole 23 days before release. That is correct. They did make the fix that the community pointed out. On the NTP stream, Adam mentioned the 101 windows and how the checked them several times and they have them correct. Anthony, you might be prepared to accept Adam's opinion over your own eyesight, but I trust my eyes and it's obvious there are errors on the DTG model. For starters the window corner radii on DTG's 101 are too great, they should be much tighter. Also the ratio of the height to width on the destination box is wrong. It's pretty apparent when you look at the two side by side. I trust my eyes and it's obvious there are errors on the DTG model. slope point on front just under windows "less pronounced"
To be fair to DTG they have modelled the Class 101 as a refurbished one. The refurbishment included removing the upper headlight, adding a vent below the small side window on the secondman's side as well as extending the rain strip all the way along rather than a short strip just above each door; These modifactions have been inlcuded by DTG on their model. I do agree about the crease in the front panel of the cab being far too soft when it should in fact be a hard edge. Apparently, there was some variation in the design / appearance of the Class 101 - a class that I travelled on many years ago!